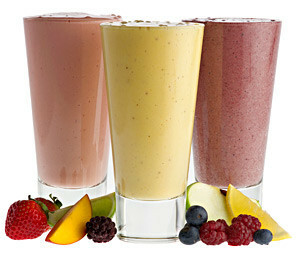 Fuze Slenderize is not really a weight loss or dietary supplement. Instead, it just seems to be a low-calorie fruit drink that’s intended to be healthier for you than other soft drinks, like soda. Slenderize only contains ten calories, so it seems like it would be a good way for you to enjoy a tasty soft drink regularly without worrying about it making you gain any undesirable weight. However, while drinking Slenderize may help you maintain your current weight, it doesn’t seem like it’s capable, or even intended to help you lose weight. To learn the facts about Fuze Slenderize, take a look at this review of the product we’ve put together. As its name implies, Slenderize is a Fuze product. Fuze is a line of beverages owned and produced by Coca Cola. Clearly, this isn’t really a weight loss supplement as much as a low-calorie beverage. Slenderize seems like it was very popular among people who drink Fuze; however, according to reviews and information found on the internet, Slenderize seems to have been discontinued. We’re not sure why, though; it doesn’t seem like it contains any harmful ingredients, and given the fact that it wasn’t intended to help people lose weight it’s not like it would have been pulled for being “ineffective” or anything. It’s possible that it wasn’t as popular as its internet reviews imply and that it was just not cost-effective for Coca Cola to continue producing and marketing the Slenderize in addition to all their other brands of beverages. How (and) does Fuze Slenderize work? While it doesn’t contain too many different ingredients, Slenderize seems like it’s designed to suppress your appetite and improve the way your body manages fat and turns it into energy. One of the key ingredients in Slenderize is L-Carnitine, which is an amino acid that can naturally be found in your body. L-Carnitine transports the fats you ingest from the food you eat to the parts of your body where they can be transformed into energy, like the mitochondria. It makes sense that by increasing the amount of L-Carnitine in your body, your body should be able to transport fat and turn it into energy more efficiently to help you lose weight. Slenderize also looks like it would be capable of suppressing your appetite to some degree, due to the inclusion of Super Citrimax in its formula. Super Citrimax is a branded form of Garcinia Cambogia, which is popularly used as an alternative to Ephedra. Ephedra was a powerful appetite suppressant that the Food and Drug Administration made illegal after it turned out to be dangers. Garcinia Cambogia is commonly used as a substitute because it is alleged to be an effective, safer alternative. We were able to find plenty of positive reviews for Slenderize. 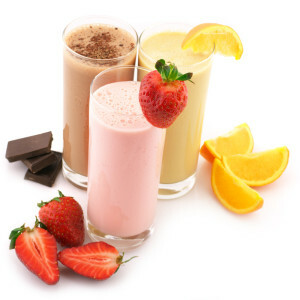 However, most of the positive reviews praised the drink for its low calories and its alleged ability to keep users’ weight in check. Judging from these reviews, Slenderize seems to be far more capable for helping you manage your current weight than helping weight loss. L-Carnitine: This ingredient is an amino acid and it occurs naturally in your body. L-Carnitine helps transport fats that you ingest to your body’s mitochondria, which is where they can be oxidized and turned into energy. Chromium: Frequently used by weight loss supplements to improve your body’s cholesterol, reducing the fatty acids that cause problems. Super Citrimax: This is a branded weight loss ingredient containing Garcinia Cambogia, which suppresses your appetite and has become a safe alternative to the illegal ingredient Ephedra. Vitamin C: Slenderize contains 100% of the daily recommended dose of vitamin C.
Slenderize comes in many tasty flavors, like blueberry, raspberry, strawberry and watermelon. Bottles of Slenderize are also pretty cheap, coming in at no more than $2 per bottle. If the information on the internet is to be believed, you can’t buy Slenderize anymore. It also doesn’t sound like it was capable of actually assisting in any kind of weight loss, even if it was able to help users maintain their current weight. There are more effective supplements that can actually help you lose weight. Fuze Slenderize is not in reality a dietary product that was made to assist in weight loss. Rather it is a low calorie soft drink marketed towards those with a desire to enjoy tasty beverages without consuming all of the empty calories from soda or similar drinks. So while drinking Slenderize may prevent you from putting on any unwanted pounds, you’re not going to lose any pounds just by drinking it. 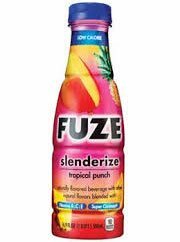 If it were still on the market, there’d be nothing wrong with drinking Fuze Slenderize to keep yourself at a healthy weight while still allowing yourself to enjoy a tasty beverage. 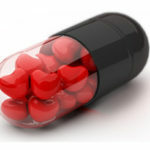 However, if you thought that this drink could help you in the same way a diet pill could, you are unfortunately mistaken. If what you’re really looking for something to help you in weight loss, you should look for a legitimate dietary product that was actually made with helping you lose weight in mind. Whats better than Fuze Slenderize?